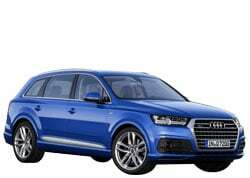 Why Buy a 2016 Audi Q5? The 2016 Audi Q5 is among the most fun-to-drive crossovers on the market. Drivers will love the upscale SUV’s combination of style and performance. Leather upholstery gives the interior an extra touch of class. While the base model has the most attractive price tag, the hybrid version’s fuel efficiency will impress a lot of people. All of the available trims offer quick acceleration. For the 2016 model year, every Q5 comes equipped with a panoramic sunroof. To give buyers more value, the Technology package features a powerful Bang & Olufsen audio system. More trims are now available with adaptive suspension dampers. For the buyers who don’t want to spend any extra money, the base engine is destined to keep them satisfied. The turbocharged four-cylinder engine develops an invigorating 220 horsepower and 258 pound-feet of torque. When tested at the track, the base Q5 hit 60 mph in an impressive 6.5 seconds. Gas mileage stands at an efficient 28 mpg on the highway. When equipped with the turbocharged diesel engine, the new Audi Q5 becomes a more versatile driving machine. With a total output of 428 pound-feet of torque, the diesel model pulls strongly at all times. Regarding fuel efficiency, drivers can expect to get 24 mpg in the city and 31 mpg on the open road. Aside from a few minor differences, the hybrid model looks virtually identical to the regular version. Although the Q5 Hybrid uses the same base engine, it is paired with a small electric motor. The hybrid engine produces a muscular 245 horsepower and 350 pound-feet of torque. Drivers can look forward to getting up to 30 mpg. Under the hood of the 3.0T model sits a supercharged V-6 engine. Audio has tuned it to pump out an exhilarating 272 horsepower and 295 pound-feet of torque. The supercharged 2016 Audi Q5 takes only 5.6 seconds to reach 60 mph. This is the best engine choice for the drivers who are seeking sports-car-like acceleration. The 2016 Audi Q5 is an exceptionally nimble SUV. Drivers will be able to have a bit of fun while behind the wheel. Unlike the average crossover, the Q5 does not exhibit a lot of body roll when taking a sharp curve. However, the available adaptive suspension dampers enable it to deliver an, even more, athletic performance. The Black Optic package gives the 2016 Audi Q5 a custom appearance. While the 20-inch wheels enhance the crossover’s sportiness, the black exterior trim makes it look more aggressive. Black roofs rails also elevate the Q5’s curb appeal. On the inside, the Black Optic package provides the driver with a race-inspired steering wheel. The base 2.0T Premium trim comes loaded with goodies. When loading stuff into the cargo area, the power lift-gate will simplify the task. Xenon headlights offer great nighttime visibility. Passengers will also like the reclining rear seats. Some of the other standard components include a 10-speaker sound system, an MMI infotainment unit, leather upholstery, and a tri-zone climate control system. An AWD system comes standard on every 2016 Audi Q5. This is a prime benefit for the drivers who must tackle snowy weather. For years, Audi’s Quattro system has been praised for its solid performance. As soon as the Quattro system detects a lack of traction, it will immediately seek to correct the problem. The cabin’s overall craftsmanship is impeccable. Audi used a variety of different high-quality materials. Even after 10 years of ownership, the interior should still be in excellent condition. Although the Q5 features high-tech components, they are not complicated to use. The 2016 Audi Q5 is certainly a family-friendly vehicle. Every passenger will have more than enough room to remain comfy. Audi designed the rear seats to slide. Owners will also be rewarded with plenty of storage space. With a maximum cargo capacity of 57.3 cubic feet, the Q5 is more than just a grocery-getter. Prices for the 2016 Audi Q5 start at around $40,900. However, the fully-loaded Prestige trim can surpass $52,000. For some reason, the new 2016 Audi Q5 does not feature any USB ports. 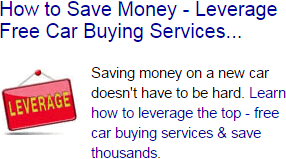 Vehicles that are far less expensive usually have this popular feature. While the Q5’s safety rating is good, some of today's other new crossovers have earned a five-star safety rating. Furthermore, the Q5 is not available with a frontal collision warning system. The competition includes the BMW X3, the Acura RDX, and the Porsche Macan. In regards to overall driving excitement, the Q5 is arguably the best option in its class. Although the X3 offers strong performance, its rather a tight backseat will turn away some car shoppers. On the other hand, the Porsche Macan is noticeably more costly. Although the Q5’s current design is due for an update, it is still one of the top crossover SUVS. Audi’s capable Quattro AWD system gives it an edge over some of the other options. There is an engine in the lineup to suit the needs of every driver. Because of its roomy interior, the Q5 is a worthy family vehicle.